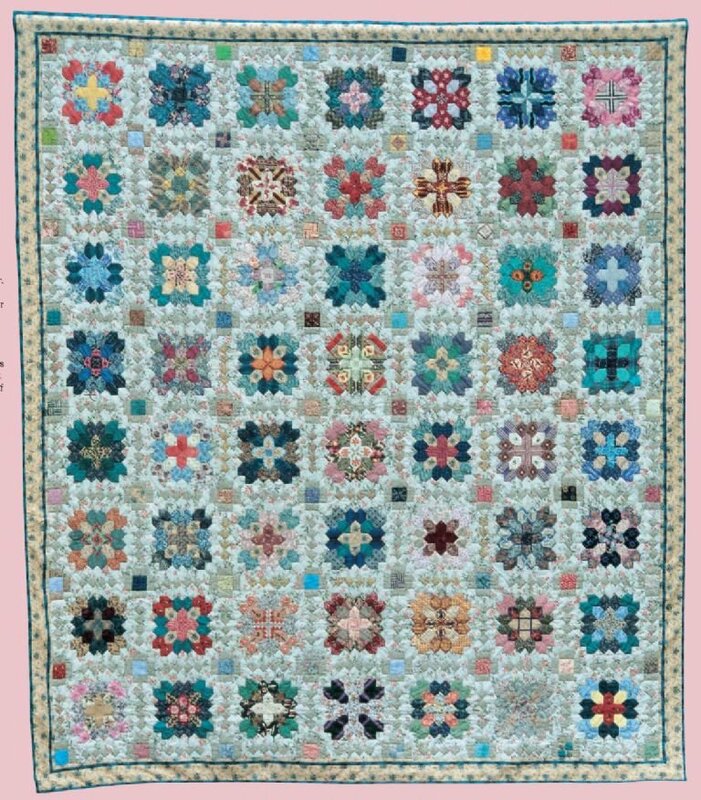 "This beautiful quilt was made over papers in the traditional English way and hand stitched and quilted. This is not a quick project - paper piecing takes time. The advantage is that once you have cut out the templates and the fabric patches, it is very portable. So make sure you keep a few patches, needle and thread in a sewing bag which you can take with you everywhere. In this way, you can easily prepare the patches using otherwise ‘lost’ time. If you are a complete beginner, you could make up just a few blocks and create a cot quilt or cushion. The design was inspired by a quilt sewn by Lucy Boston in the late 1950s. 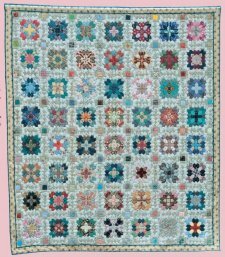 The pattern was recreated by Diana Ridsdill Smith as a group project for Cambridge Quilters and was raffled in aid of charity."